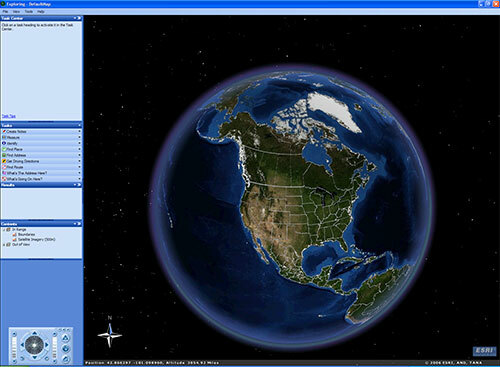 One of the most disappointing aspects of ArcGlobe (aside from performance) is the default view. 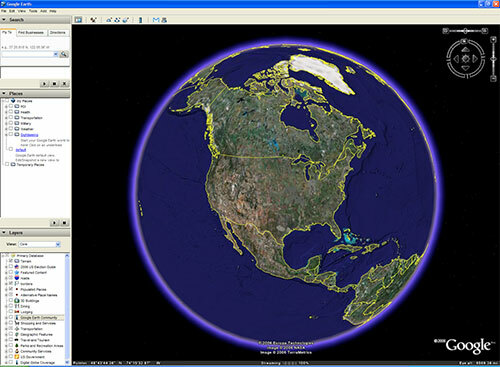 Of course I was able to quickly export the shapefile to Google Earth using Arc2Earth, but we were running it on the clients personal laptop because they can’t run Google Earth at their place of work. 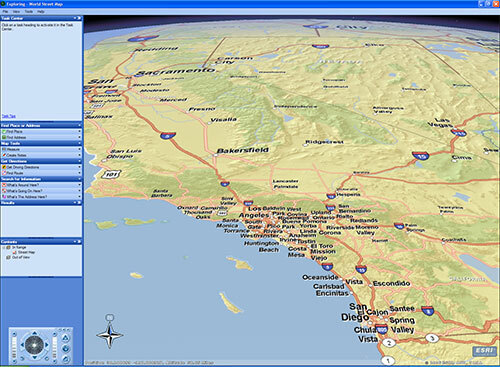 I fired up ArcGIS Explorer to show him what was coming on line from ESRI, but he then asked if that data will be available in ArcGlobe. 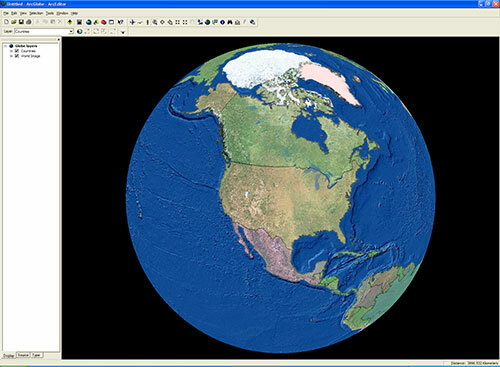 I didn’t think that was the plan, but wouldn’t ArcGlobe be so more useful if it had access to the same datasets as ArcGIS Explorer below?